*** SPRING SALE NOW ON*** Xclusive Xports are a used car dealership based in Bayford Hertfordshire, we are located at SG13 8QA, At Xclusive Xports we have a wide range of used vehicles to suit all budgets and lifestyles so we are sure to have the right car for you, VIEWINGS BY APPOINTMENT 7 DAYS A WEEK, AS WE ARE AN APPROVED AA CARS DEALERSHIP ALL VEHICLES COME WITH A HPI CHECK AND 12 MONTHS FREE AA BREAKDOWN COVER, GREAT FINANCE DEALS AVAILABLE VISIT OUR WEBSITE TO APPLY ONLINE www.xclusivexportsltd.co.uk, Delivery is available to anywhere in the UK. 5 day drive away insurance available and a WARRANTY for total piece of mind. Part exchanges are welcome. Please contact us for any further information. 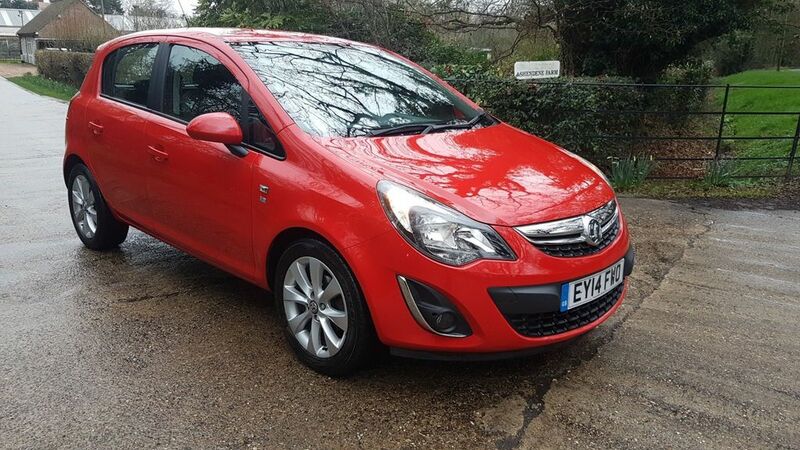 5 STAR REVIEWS BUY IN CONFIDENCE, This sought after 5dr Corsa is a 1 owner from new and comes with full service history and will be serviced for the new owner. It will come with a 1 year MOT.